Keeping an eye on your boat is something you love to do. And hinckley Yacht Services is making it a little easier. 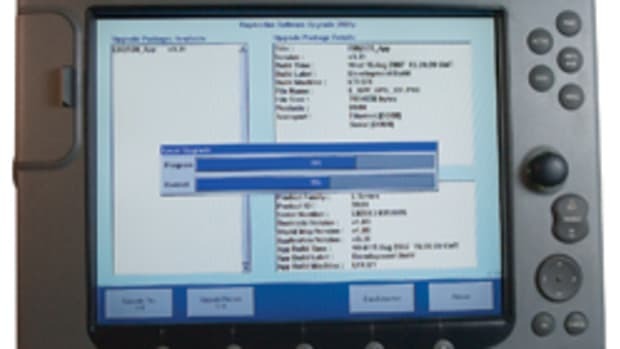 Well, because the second noteworthy reason is this: Immediately after Hinckley’s management team introduced the new model, they segued into the rollout of a new vessel-monitoring system for clients of Hinckley Yacht Services called Hinckley OnWatch (www.hinckleyyachts.com). OnWatch uses a series of sensors to track numerous data points on a boat and relay them via a cellular system to servers that update a mobile Web site (it feels like an app when you add the OnWatch icon to your smartphone homescreen). 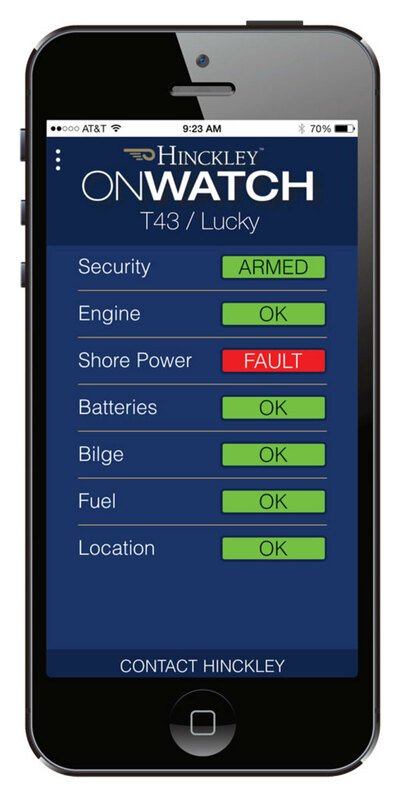 Once you log in, it gives you a homescreen with an at-a-glance understanding of how your boat is doing, from technical details such as engine status, bilge, battery, and fuel-tank levels, to the state of your shore power connectivity. The system heads off surprises by affirming that your security system is armed (and you can arm it from your smartphone if you forget) and provides you with the boat’s location, complete with GPS coordinates. It includes a geofence function too, so you know if your boat is moving without you on board (Think of it as a way to keep track of service, “Good, they’re doing the test run after completing maintenance of my jet drives.” Or other movements, “Uh-oh, looks like the anchor is dragging—check, please!”). But as interesting as this idea may seem, there’s another aspect that sets it apart. 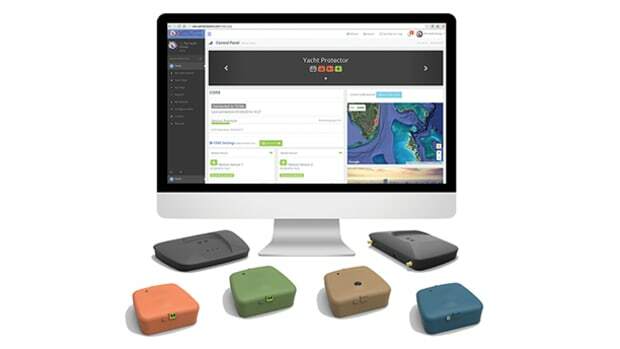 OnWatch is not just a vessel-monitoring system for all boaters. It’s exclusively for clients of Hinckley Yacht Services. And the service side of the company is a substantial network of seven yards located along the East Coast of the U.S. and staffed with the company’s 700 U.S. employees. 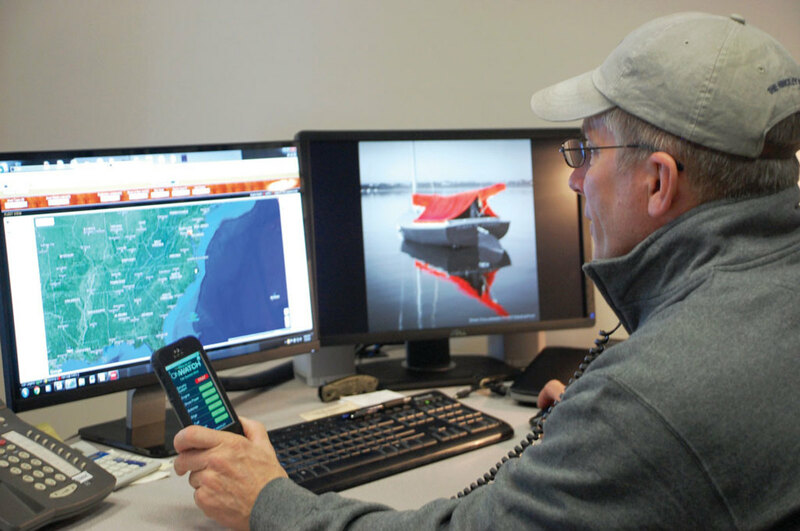 The service managers who take care of the boats under the auspices of Hinckley Yacht Services (and, interestingly, 70 percent of the boats under its care are not Hinckley Yachts) can also see that data, track vessel use, help owners maintain their boats, and make sure their boats are ready to go when they are. “Our clients have got very little time,” says Scott Bryant, director of new product development for Hinckley. “They’re dealing with limiting schedules throughout the summer. So when the season comes, they’re thinking and scheming and scheduling how to get out on the water. So when it happens, the boat needs to be right and we need to do everything possible to eliminate downtime.” According to Hinckley, OnWatch allows the service professionals, the people who know these boats as well as anyone, to have access to the numbers and data points that the owner sees. 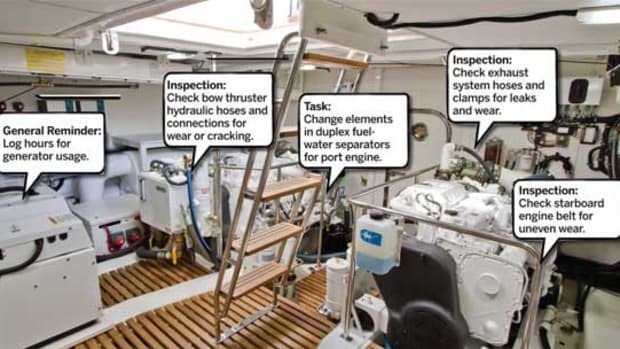 But the service pros are also able to see some metrics, taken in snapshots every ten minutes and integrated into service algorithms, that help them better plan the maintenance program for the boat. 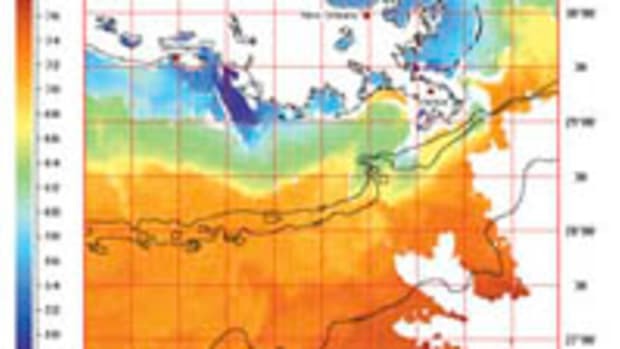 “We’re able to understand how they’re using their boats,” Bryant says. 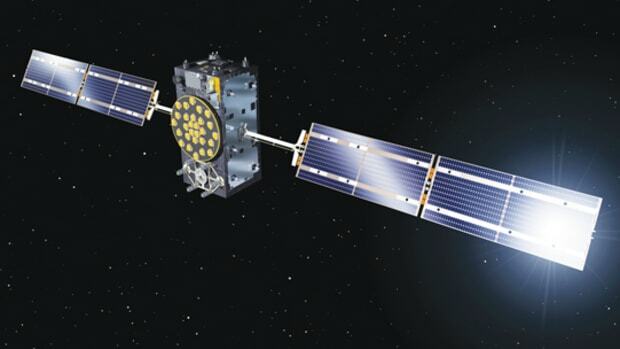 “And we can basically develop service plans that cater to their use. 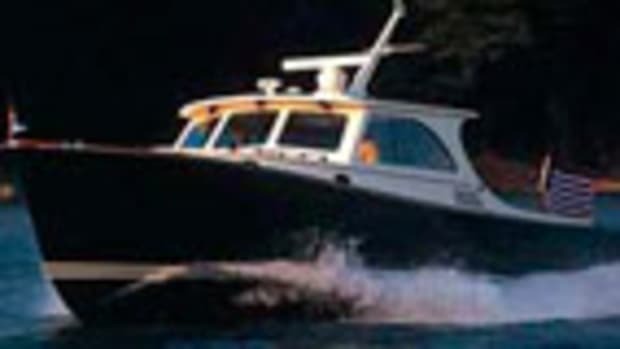 We understand what the boat needs.” So the maintenance of the boat’s systems may vary if the boat was used for slow idling and cocktail cruising or run hard offshore in rough conditions. The nuts and bolts of the system are centered on a marinized, ruggedized, milspec GSM cellular modem. 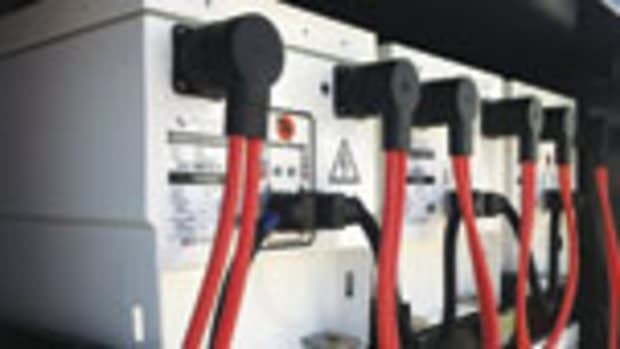 “Sensors throughout the boat monitor battery levels, tank levels, security, and shore power connectivity,” Bryant says. “And we’re tied into the engine, where we want to key in on some of the diagnostics that you wouldn’t see typically on your display. These are considered preemptive.” The computer generates reports and alerts for the service team as needed. “We’re able to say, ‘Okay, the port engine is running warm by a few degrees—let’s consider contacting the owner,’” Bryant says. “The goal is to try to get ahead of any serious problems.” Getting out in front, and involving the service staff to diagnose issues and head off problems before they begin to erode time on the water, seems like a good idea. The pros call you when a service point seems to be edging toward a problem, based on the data. 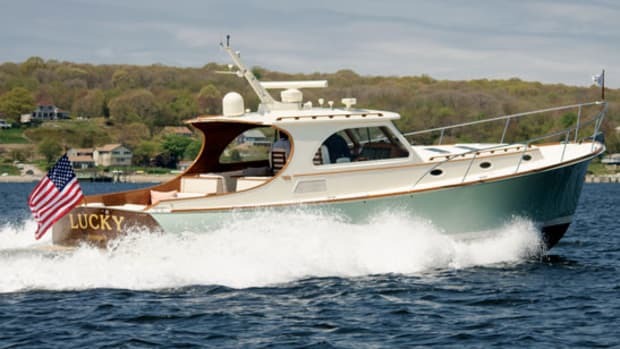 Talking about data and cellular telemetrics would seem odd with venerable Hinckley, a builder of Down East-style yachts, sailboats (at it again), and runabouts. If you think about it, Hinckley was reinvented 20 years ago with the concept of improving boating through the development of innovative technology such as the JetStick. The Talaria 34R is the first model to have OnWatch installed. 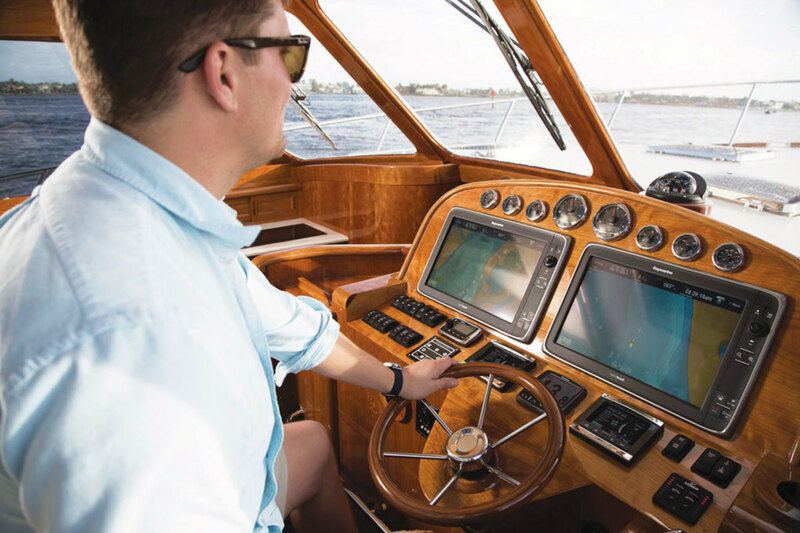 If you want it, you can buy a new 2017-model-year Hinckley (the system will be standard on all future builds) or you can have OnWatch installed on your boat. Cost for the system is $5,500, plus $600 annually for the monitoring service. 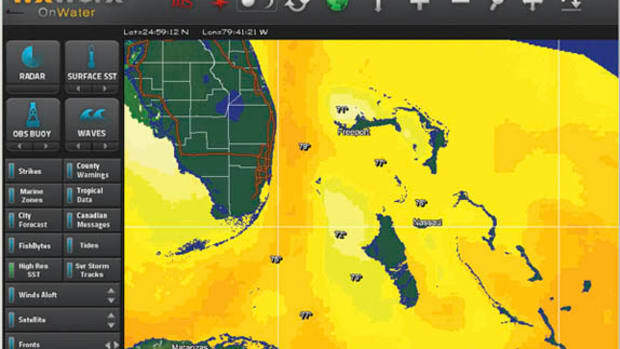 Another consideration for those thinking about installing a vessel-monitoring system: OnWatch may allow for preferred rates with your insurance company, thanks chiefly to the bilge-level monitoring and alerts. OnWatch is different from other monitoring systems because it inserts the yard in the process of servicing your boat at early stages, and that helps to heighten the relationship. While OnWatch would seem to be useful mostly because of improved communication with the service yard (a manager will contact you with issues and help you schedule preventive maintenance), the question arises: Are you sacrificing a certain level of independence or privacy in giving Hinckley so much data? One could argue that somewhere in your smartphone licensing agreement is a larger infringement of your privacy, if you’ve even bothered to look at it. One could also make the case that it’s a pretty good transaction: trade a bit of privacy for a reduction in boating troubles. And the active participation of the service yard is nonnegotiable—specifically, Hinckley Yacht Services (though authorized service locations—some on the West Coast and in the Great Lakes region—may eventually enter the equation). I asked if Hinckley would ever sell a white-label OnWatch system to other service companies, for a third party to use to track their clients’ boats. The answer was no. Sounds like the fun is just beginning.